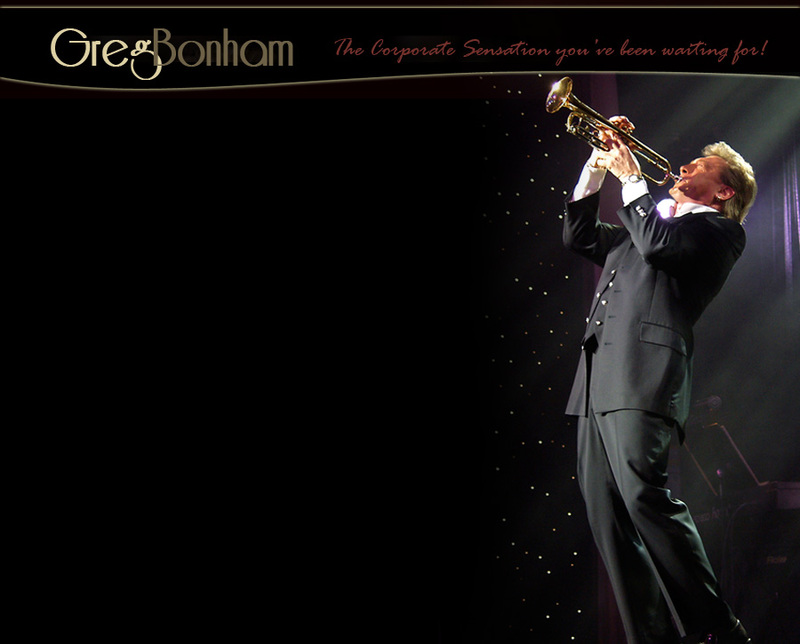 What makes Greg Bonham so special? Being a singer from Australia with a powerful voice and huge range already is impressive…but add the fact that Greg plays sizzling trumpet…oh he’s not just a good trumpet player, but a great one….now you are starting to get the picture. When Greg enters the stage a lot happens….very quickly. A seasoned professional is before them and the audience knows it immediately. His Aussie accent charms, his soaring expressive voice and warm personality captivates….and then Greg picks up his golden trumpet and blows the ceiling off the room. His mellow Doc Severenson sound and scorching’ Maynard style’ high notes bring the house down. His version of “Macarthur Park” is a true showstopper. R&B, opera, standards, spontaneous comedy…plus the powerful finale rock anthem Greg has written, touches everyone and brings to a close the most entertaining, feel good show you will ever experience. He leaves them standing… every time! After his performance, Greg loves meeting and interacting with the crowd. His Aussie charm ‘touches’ all and his warm persona stays with everyone long after the show is over. So…what makes Greg Bonham so special…all of the above, plus a huge enthusiasm for what he does, a genuine love of people and talent…huge talent.